If you have a lawn in Florida, you know how much work it can take to keep it looking lush and vibrant over the years. With all the effort you’ve put into your lawn, the last thing you want is for it to be destroyed by pests. To keep your lawn healthy and looking its best, you’ll need to take the proper precautions to protect against some of Florida’s most common turf pests. While there are some mites and other bugs that are harmless to your grass or even beneficial, there are many that can wreak havoc on your lawn. Here’s what you need to know about some of the most common. There are several species that fall into this category. Here in Florida, we most often see creatures like armyworms, cutworms and tropical sod webworms. They eat the blades of your grass, making it more difficult for the plant to get what it needs. This can result in sparse, bare or brown patches in your lawn. These tiny critters are common in Florida, and though they don’t eat the grass like some other pests do, they can still infest and infect it. This causes the tips of the grass to turn lighter in color. It also causes the blades to curl, resulting in a tufted effect on your lawn. Over time, the tufted grass will eventually die off. Ground pearls are among the more unique lawn pests. They are only about the size of a gnat, but when they latch onto your grass near the roots, they create a hard shell for themselves that is somewhat reminiscent of a small pearl, hence their name. Although they are small, ground pearls can have a big impact, as they prevent the roots from delivering the water the grass needs, causing it to brown and die. 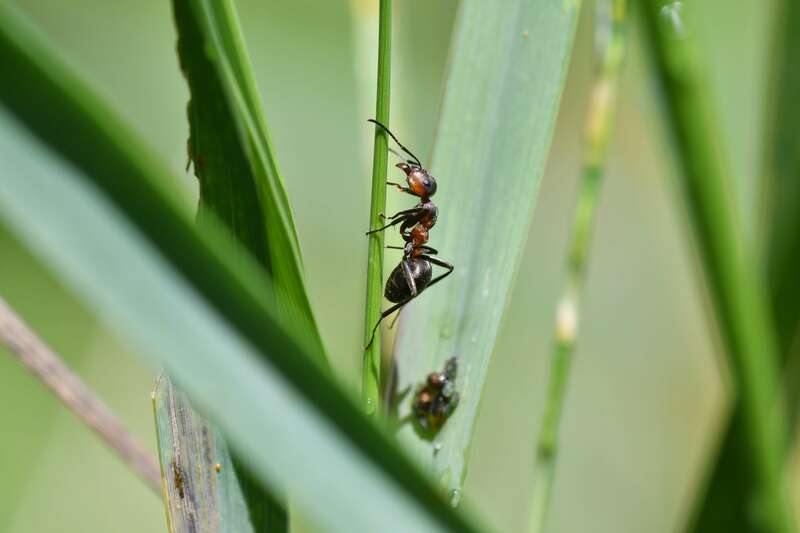 These tiny critters are of more concern to people and pets than they are to lawns, as their bites can be incredibly painful and itchy. However, they can still damage your lawn as they construct the mounds in which they live. These mounds can grow quite large to accommodate colonies as large as several hundred thousand ants, leaving bumps and dirt throughout your lawn. Mole crickets dig their burrows in grassy areas, hiding in them during the day and emerging at night to feed. They eat all parts of the grass plant, but that isn’t how they cause the most damage; as they burrow into the ground, they are notoriously destructive the the lawn’s root system. They loosen the soil, exposing the roots and diminishing their ability to pull water from the soil. Over time, this leads to brown, sparse patches in the grass. Hunting billbugs chew small holes in grass blades in which to lay their eggs. As the larvae hatch, they burrow down into the soil to feed on the roots of the grass. This causes the grass to dry out and eventually die. The effects are more drastic during periods of especially dry, hot weather when moisture is scarce. These types of pests aren’t as common as some of the others on this list, but they can still cause serious damage to your lawn if it becomes infested. They are capable of laying hundreds of eggs at a time and reproduce multiple times each year. The crawlers emerge from the eggs and settle on a node in the grass, where they’ll stay indefinitely. Their secretions can lead to mold formation, ultimately choking off and killing the grass, leaving brown patches behind. If pests have gone on a rampage through your lawn, leaving it brittle, dry and brown, the sod experts here at Duda Sod will be happy to help. Our team can help you select the best grass species to suit your property and gardening capabilities. We’ll take the time to answer all of your questions about caring for your new lawn and keeping pests away. We’ll do everything we can to help you keep your lawn lush and beautiful for many years to come. We invite you to reach out to us today for a free consultation to discuss your project.